Chinese foods are well-known for their appearance, aroma, and delicious taste. Its culinary heritage goes back to 1000 years with different cooking styles, ingredients, texture, etc. Japanese and Chinese cuisines may look a bit similar as they have a pleasant savory taste. A lot of myths and beliefs into Chinese food make it much loved across the world; let’s check out some of them. Ni Chile ma (你吃了吗) - Have you eaten yet? This is the common way to greet people in China, and this tells a lot about a country and the people. Chinese cuisine is one of the most loved and respected cuisines in the world. Chinese foods are well-known for their appearance, aroma, and delicious taste. Its culinary heritage goes back to 1000 years with different cooking styles, ingredients, texture, etc. 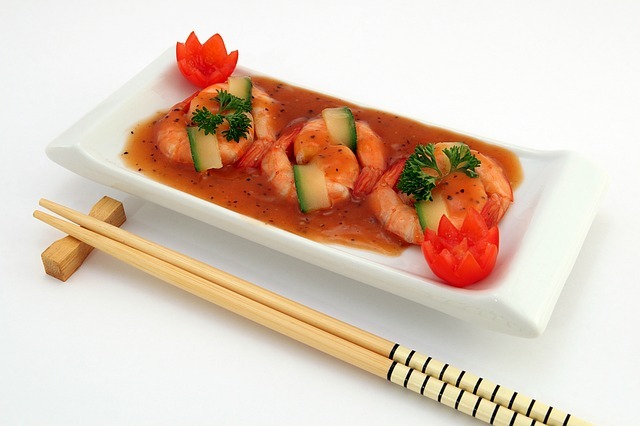 Japanese and Chinese cuisines may look a bit similar as they have a pleasant savory taste. There are two food philosophies in China- Confucianism and Taoism. Taoism focuses more on food that promotes health and the ones that have healing powers. Confucius refers that food must be cut into small bite- size pieces before being served. A lot of myths and beliefs into Chinese food make it much loved across the world; let’s check out some of them. Ma Po Tofu- Tofu’s history goes back to over a thousand years. It is one of most famous Chinese dish. It is made by coagulating soy milk and then pressing the resulting curds into soft white blocks. The milky tofu is enriched with chopped green onions and brownish red beef. They are used in Chua Cuisine and offer delicious taste to the food. Wontons- It is a type of Chinese dumpling used in Chinese cuisine. Since Tang Dynasty in 618 AD, wontons have been eaten on the winter solstice. Wontons can be boiled or deep fried and served with soup or minced pork. They are small in triangular shape. Chow Mein- It means stir-fried noodles and it consists of chicken, beef, shrimp, or pork. It is the most consumed Chinese fast food in parts of India, the USA, and United Kingdom. 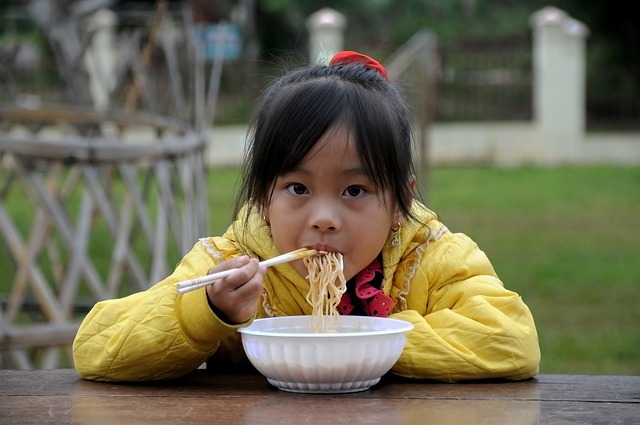 Chinese noodle are first boiled in water, then cooled and finally stir-fried. 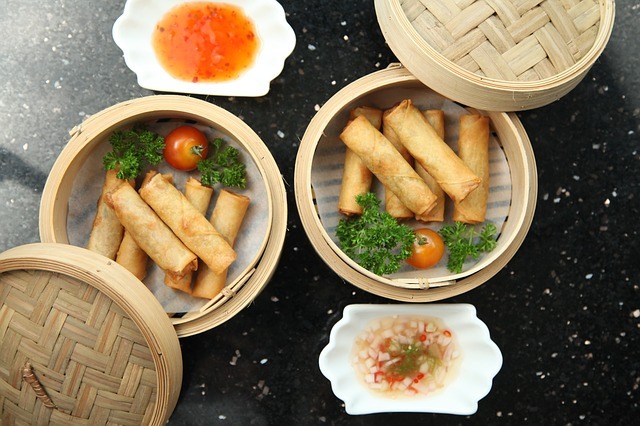 Spring Rolls- They are Chinese dim sim foods of cylindrical shape. 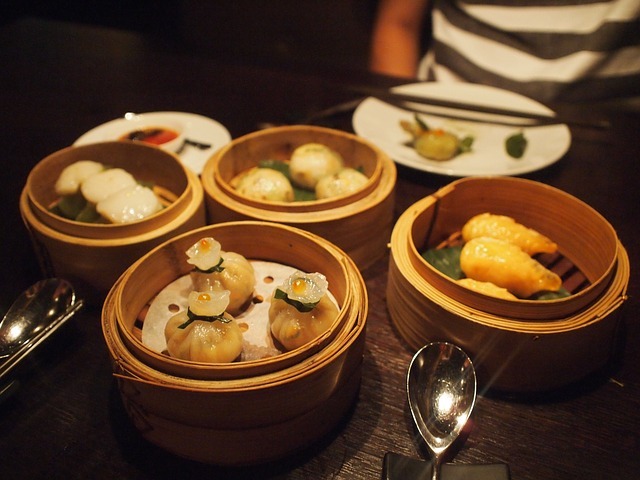 Dim sum is a style of Chinese cuisine prepared as small bite-sized portions of food. The filling can be meat or vegetables. After stuffing they are deep fried and served with soup. Best spring rolls are made in Jiangxi, Jiangsu, and Shanghai. 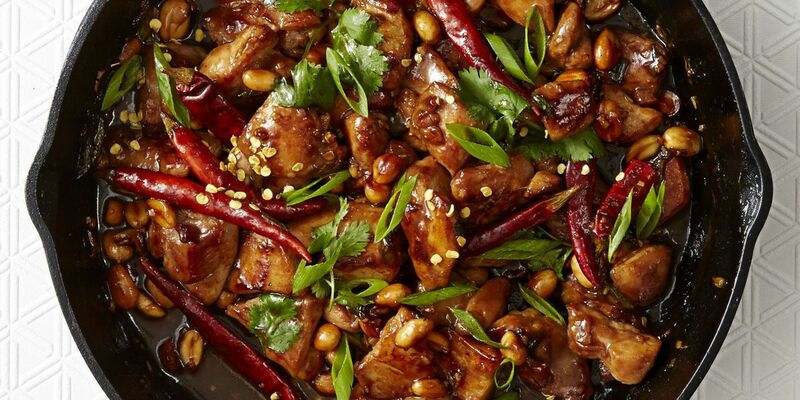 Kung Pao Chicken- This Sichuan-style specialty is China as well as out of China. It is a blend of diced chicken, dried chili, and fried peanuts. In the west people mix cornstarch, and vegetables, sweet and sour sauce and mashed garlic with chicken to make it into a new dish named gong bao chicken. 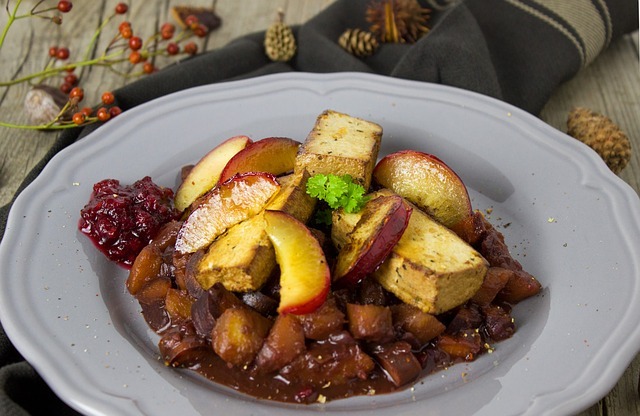 Sweet and Sour Pork- This dish has a tangy touch to it. It’s got an orange texture. 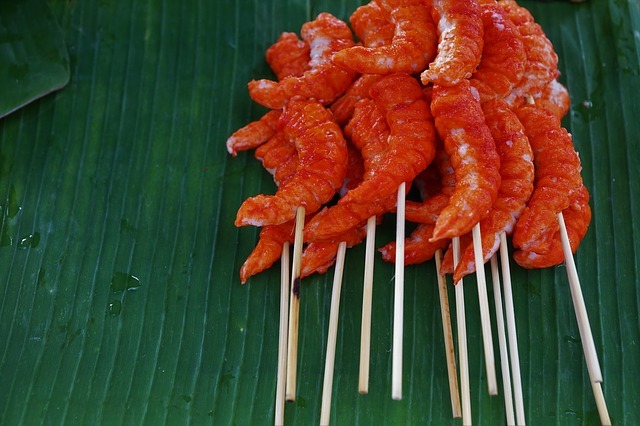 Some places in China use a sweet and sour sauce as a dipping sauce for fish and meat, rather than in cooking as is commonly found in westernized Chinese cuisine. This dish is also famous in Korea. 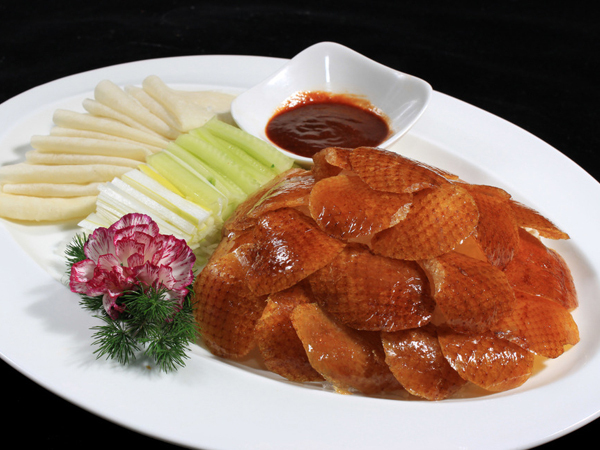 Peking Roasted Duck- It is considered as the National Dish of China. It is best served in Beijing from where it originated. The Sliced Peking duck is often eaten with pancakes, spring onion, cucumber or sweet bean sauce with mashed garlic. Ducks bred specially for the dish are slaughtered after 65 days and seasoned before being roasted in a closed or hung oven. It has been prepared since the imperial era. The meat is characterized by its thin, crisp skin. It is sliced in front of the diners by the cook.